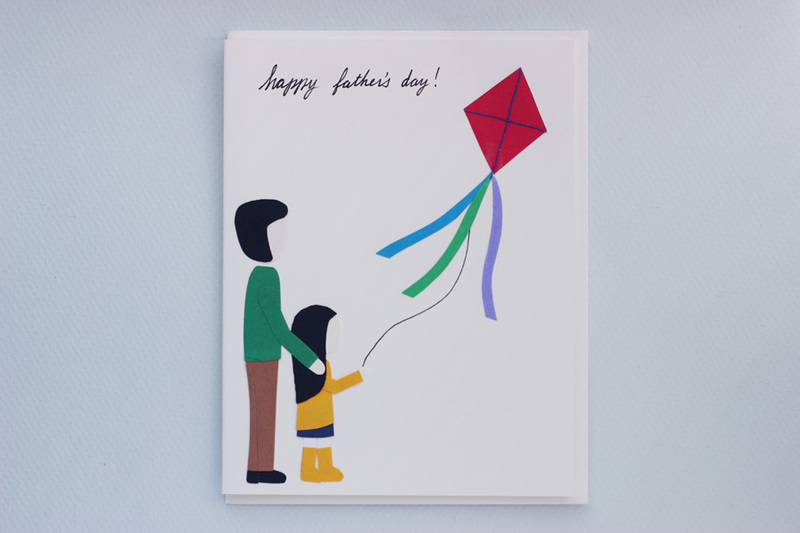 This Father's Day card depicts a dad teaching his daughter how to fly a kite. It is handmade, paper-cut collage. This card can be made without the Father's Day greeting. Dimensions are 5 1/2" x 4 1/4".